Corporate training, which had always been a constant focus area for all insightful companies, has now become a powerful tool to improve business performance. The role of Corporate Training in companies today is integral in ensuring that your workforce is tuned into your organization's goals. Instructional Design can be used to increase the effectiveness of corporate training by targeting the designing, developing, packaging and delivery of the training program towards a specialized target audience. 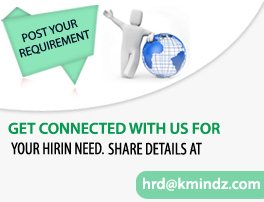 We at KMINDZ, offer the most comprehensive corporate training programs catering to the industry's calendar and adhoc requirements. We have the capability and highly skilled trainers/consultants with vast experience in real time as well as Corporate trainings on various technical and non-technical skill sets. 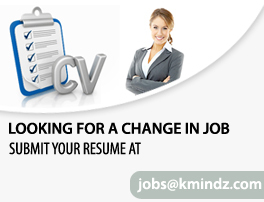 We at Kmindz have delivered training programs for leading corporate houses. These programs range from Induction level programs for the fresh recruits to customized project specific programs to the team leads and project managers and senior management. Individual Objectives: help employees in achieving their personal goals, which in turn, enhances the individual contribution to an organization. Organizational Objectives: assist the organization with its primary objective by bringing individual effectiveness. Functional Objectives: maintain the department's contribution at a level suitable to the organization's needs. Social Objectives: ensure that an organization is ethically and socially responsible to the needs and challenges of the society.